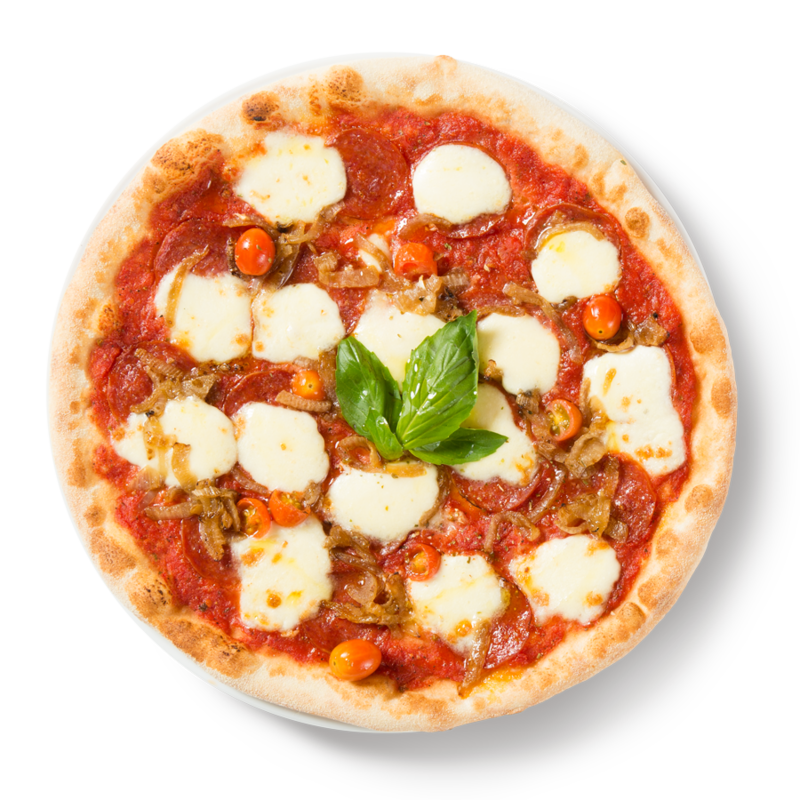 Vine ripened tomato sauce, bocconcini, season cherry tomatoes, garlic, sea salt, fresh basil and extra virgin olive oil. Vine ripened tomato sauce, bocconcini, pepperoni, caramelized onion, season cherry tomatoes, garlic, sea salt, fresh basil and extra virgin olive oil. 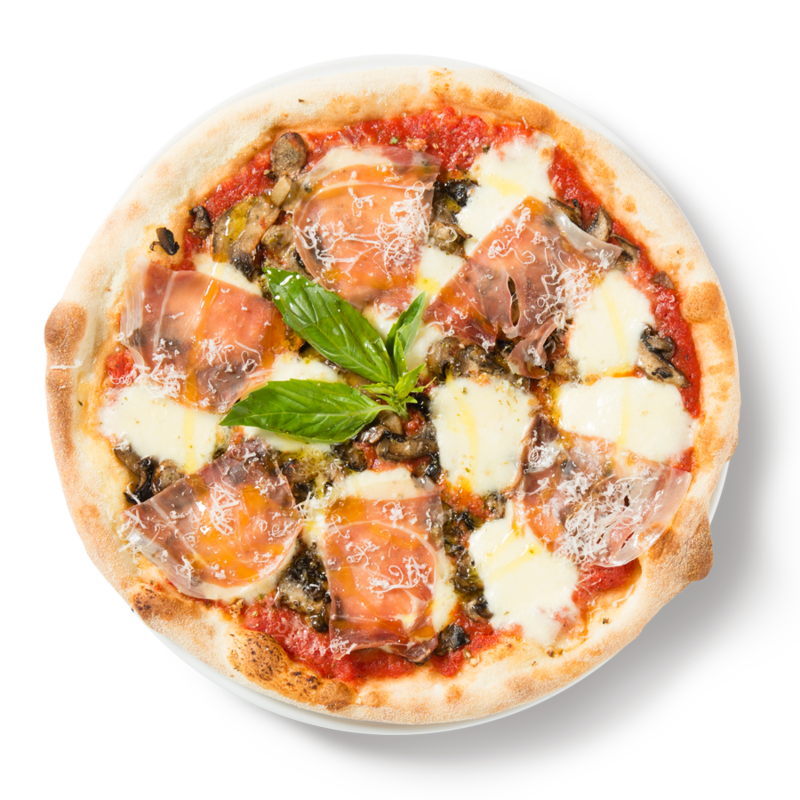 Vine ripened tomato sauce, bocconcini, prosciutto, sautÃ© mushrooms, parmesan, garlic, sea salt, fresh basil and extra virgin olive oil. 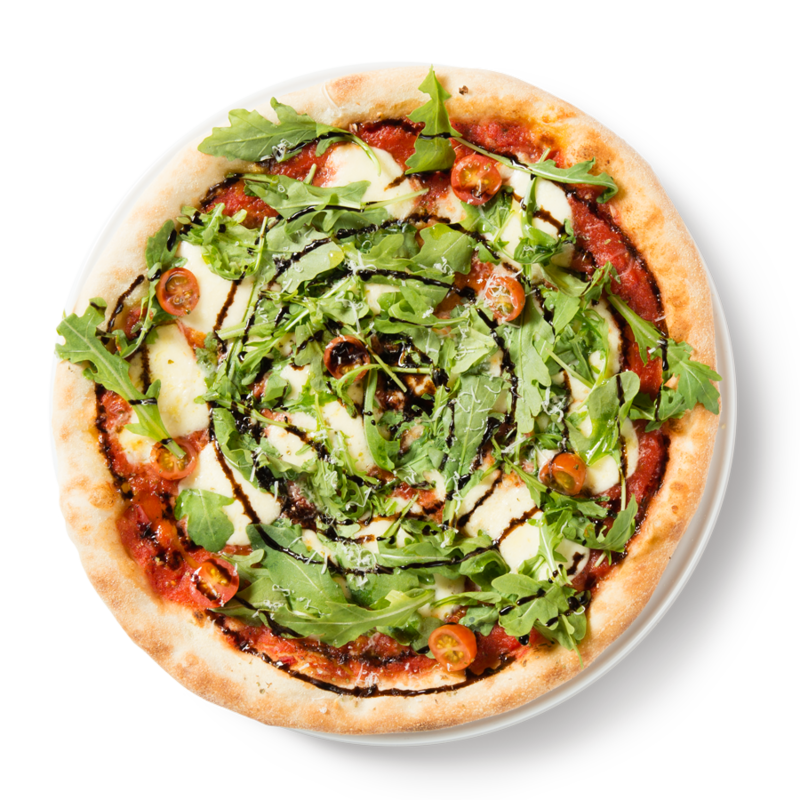 Vine ripened tomato sauce, bocconcini, seasoned cherry tomatoes, arugula, shaved Parmigiano, balsamic reduction, garlic, sea salt, fresh basil and extra virgin olive oil. 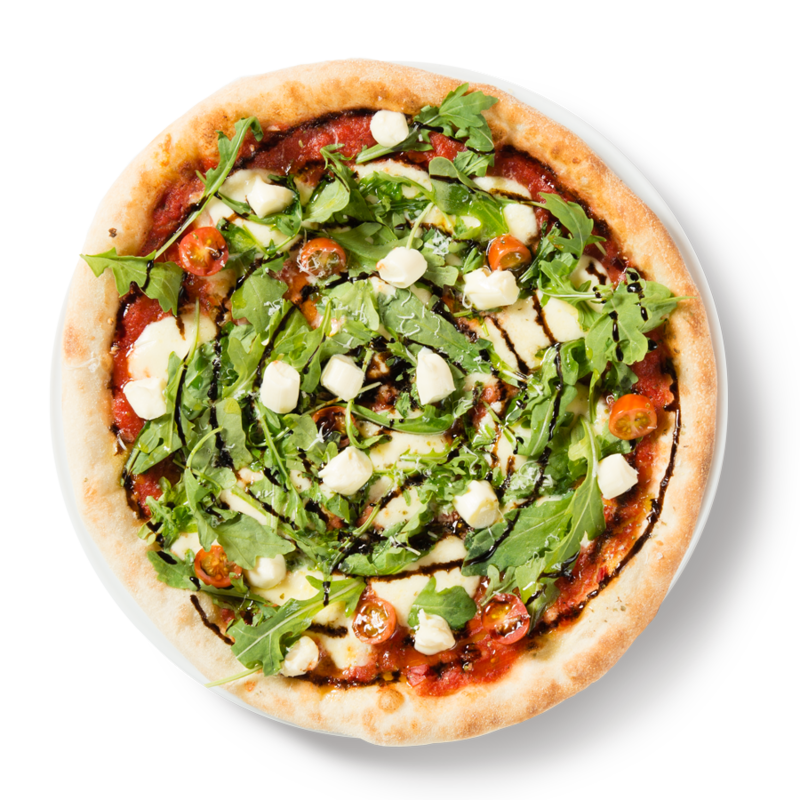 Vine ripened tomato sauce, bocconcini, seasoned cherry tomatoes, mascarpone, arugula, shaved Parmigiano, balsamic reduction, garlic, sea salt, fresh basil and extra virgin olive oil. Vine ripened tomato sauce, bocconcini, seasoned cherry tomatoes, prosciutto, arugula, shaved Parmigiano, balsamic reduction, garlic, sea salt, fresh basil and extra virgin olive oil. 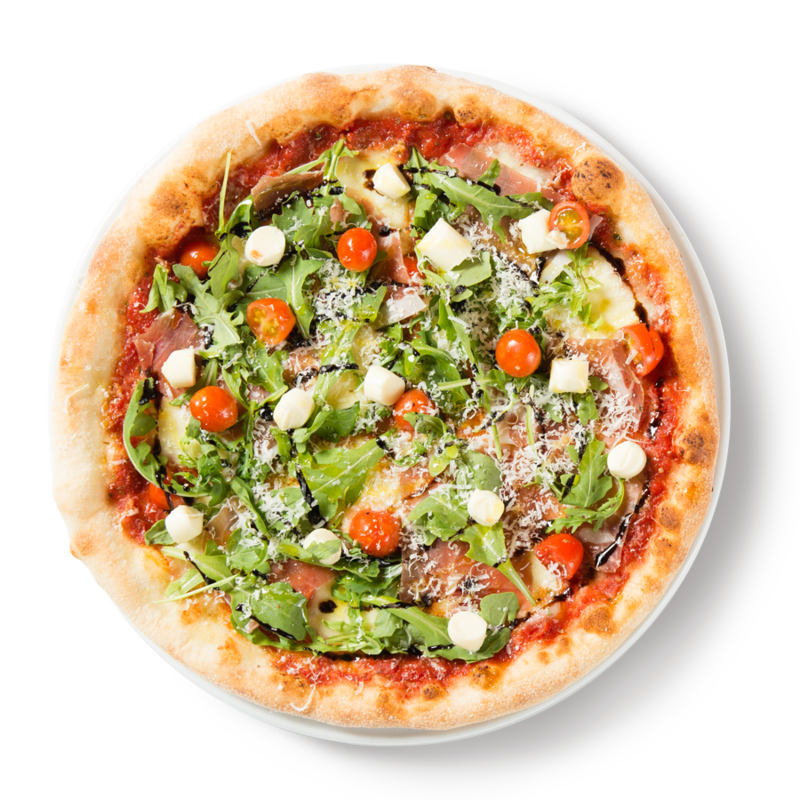 Vine ripened tomato sauce, bocconcini, seasoned cherry tomatoes, mascarpone, prosciutto, arugula, shaved Parmigiano, balsamic reduction , garlic, sea salt, fresh basil and extra virgin olive oil. 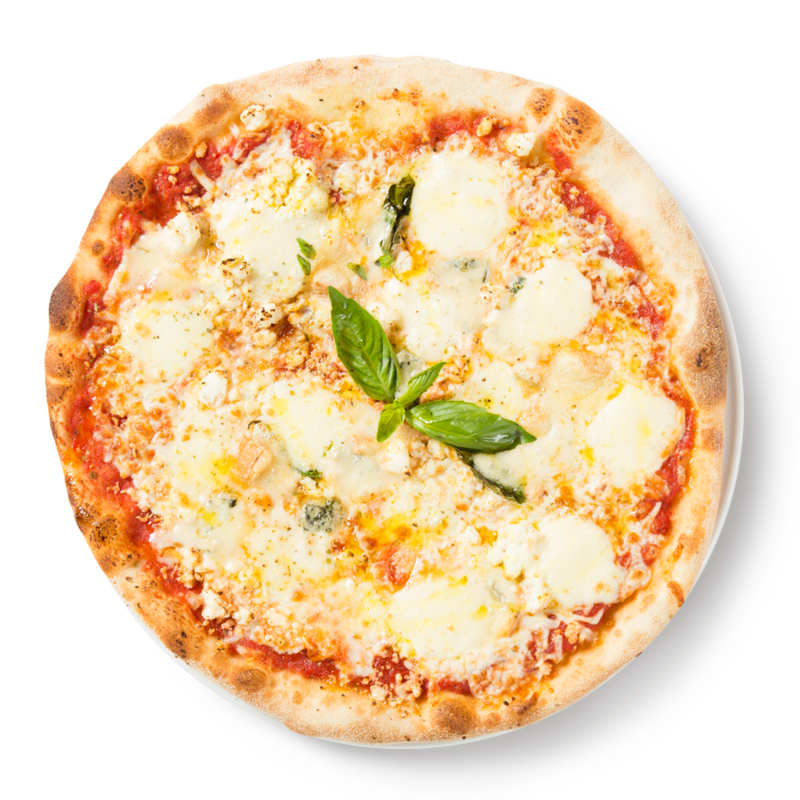 Vine ripened tomato sauce, mozzarella, gorgonzola, boccocinni and ricotta, garlic, sea salt, fresh basil and extra virgin olive oil. 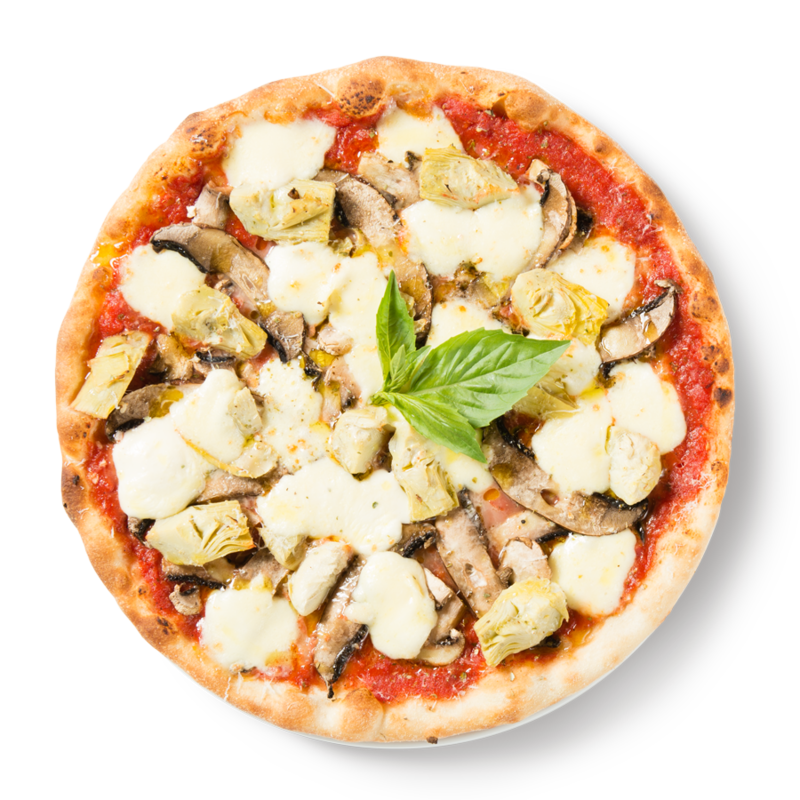 Vine ripened tomato sauce, bocconcini, mushrooms, artichokes hearts, portabellas, parmesan, garlic, sea salt, fresh basil and extra virgin olive oil. 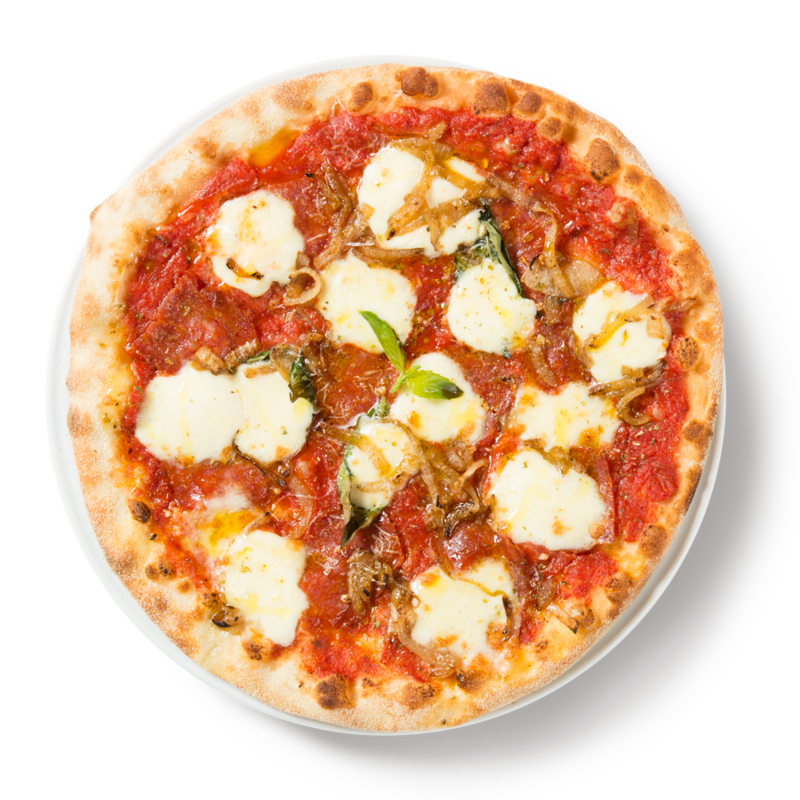 Vine ripened tomato sauce, bocconcini, salami, caramelized onions, parmesan, garlic, sea salt, fresh basil and extra virgin olive oil. Vine ripened tomato sauce, hot soppressata, bocconcini, caramelized onions, seasoned cherry tomatoes, parmesan, garlic, sea salt, fresh basil and extra virgin olive oil. 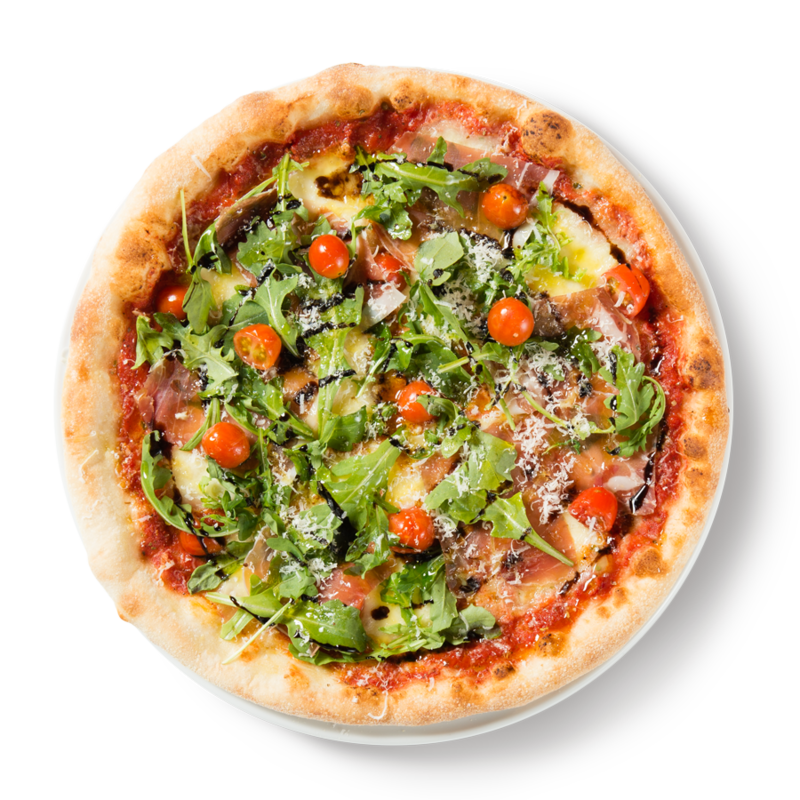 Vine ripened tomato sauce, bocconcini, seasoned cherry tomatoes, Speck (smoked prosciutto), arugula, shaved Parmigiano, balsamic reduction, garlic, sea salt, fresh basil and extra virgin olive oil. Cheese and sauce is included, the rest is up to you. 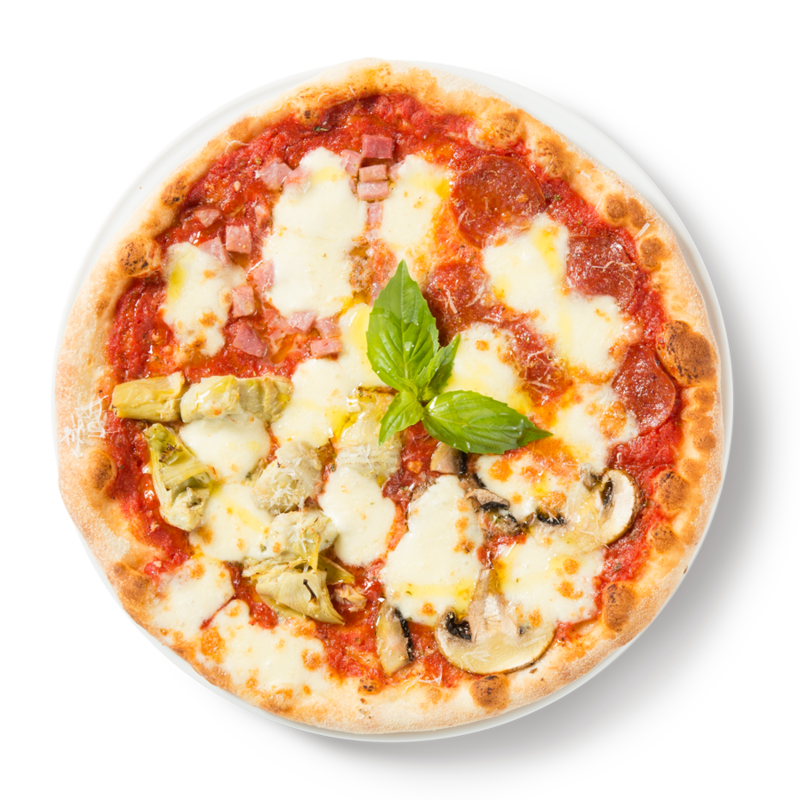 Dough made with Italian â€œ00â€ wheat flour. This pizza is topped with vine-ripened tomato sauce, cheese and ready for your topping artistry. Our Gluten-Free flour is made with a blend of rice flour with potato and tapioca starches. 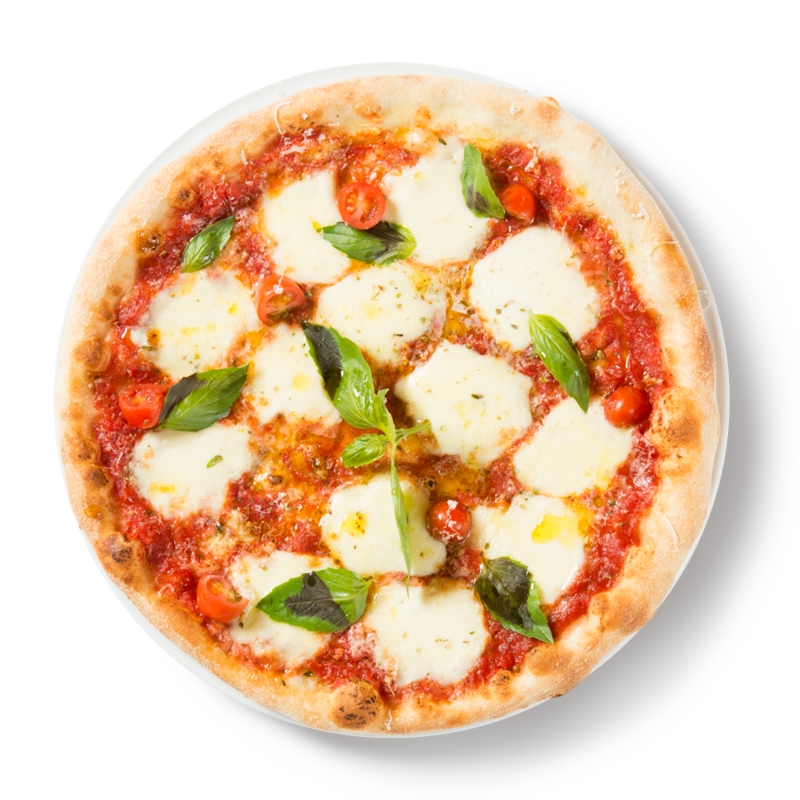 This pizza is topped with vine ripened tomato sauce, cheese and ready for your topping artistry. Extra Cheese, Cheddar, Feta, Bocconcini, Gorgonzola, Goat Cheese, Ricotta, Mascarpone, Parmigiano Reggiano. Creamy Garlic, Cheddar Chipotle, Ranch, Jalapeno Ranch, Marinara. Copyright © 2019 Applestone Pizzeria. Website by Café. 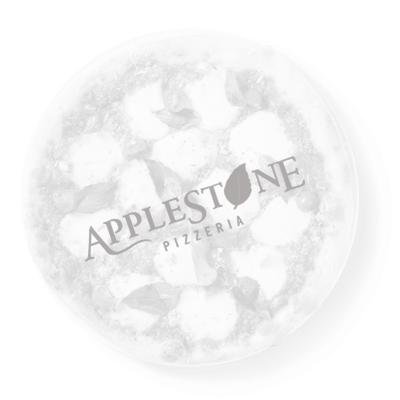 Would you like your Applestone order delivered to your door? We’ll deliver anywhere in Burlington!